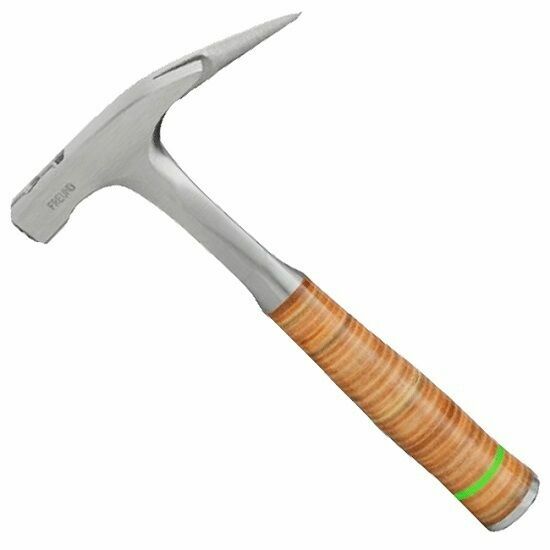 Top-quality, German restoration type roofing hammer for all types of slate roofing work. Also makes a great all-around hammer for carpentry and construction. One piece steel head with solid steel shank, rugged and comfortable, stacked leather handle.